Wedged between Lentil as Anything and Convent Bakery, Kappaya is a place that you can easily miss. I've known for a while it was there but up until today I hadn't purposefully gone looking for it. We're a bit too early for breakfast - but coffee and cakes and the chance to escape the insanity of the Slow Food Market will do nicely. The carrot cake needs a special mention - it's probably the best example of carrot cake we've ever tasted and unbelievably it's made with soy. 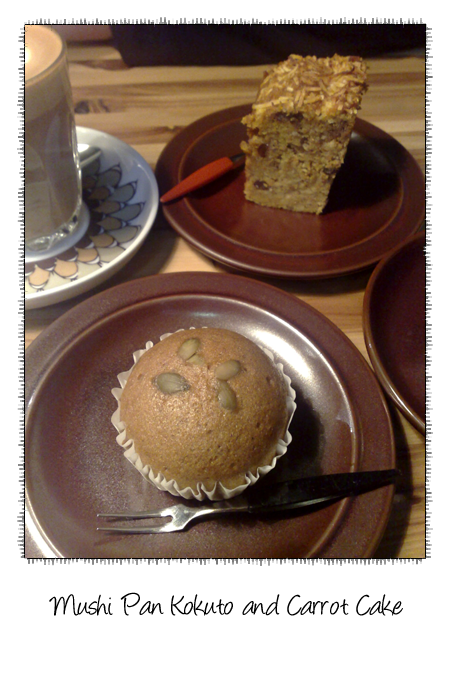 The Mushi Pan is a steamed cake - it is very light, even lighter than a sponge cake - this one was made with brown sugar. 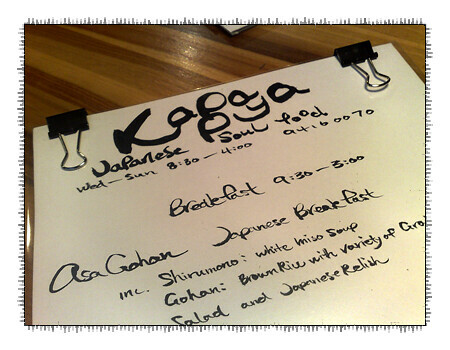 Kappaya's lunch plate is amazing, you must return to try it!